Balev Corporation presents a new line of room diffusers. The selected perfumes will create and maintain а cosy atmosphere in any room. These air fresheners are particularly suitable for larger rooms and long lasting effect. 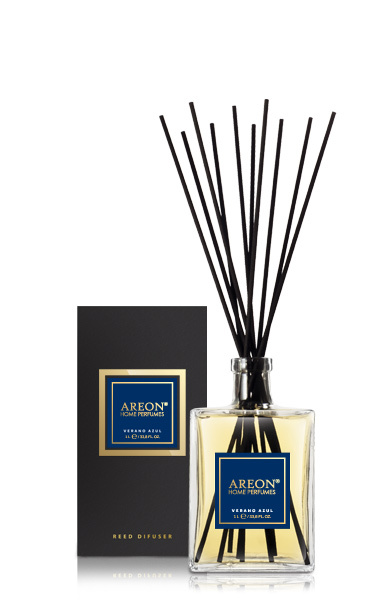 Verano Azul – A fresh and elegant scent with top notes of lemon and bergamot, tastefully combined with a heart of leather and patchouli. Verano Azul brings a sense of summer sunshine and seashore freshness.